Whenever the seasons change, I always like to change my makeup routine as well. 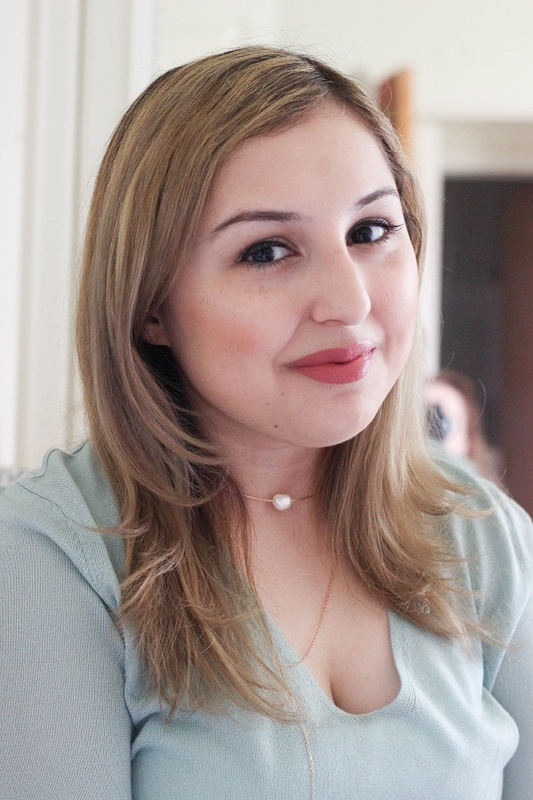 During the springtime, I always tend to gravitate towards makeup looks that are going to make me glow and leave my skin hydrated. 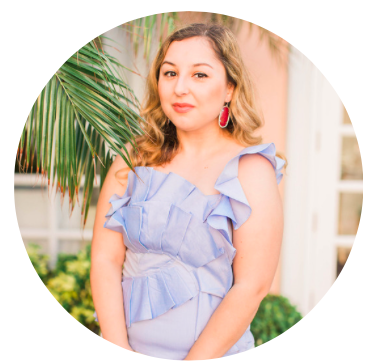 Since spring is officially here, I thought it was the perfect time to share my spring makeup routine with you gals! 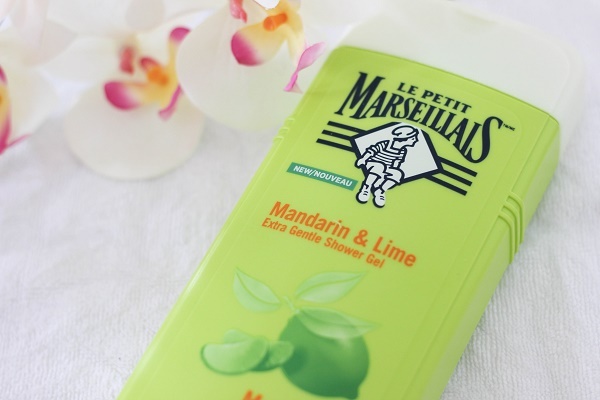 First I'll start the day with the Le Petit Marseillais™ Mandarin & Lime Extra Gentle Shower Gel which has the most delicious smell and reminds me of warm summer weather. In case you've never heard of the brand, it's actually new to America but is the leading body wash brand in France. Le Petit Marseillais created a special line featuring 17 products that's exclusive to Wal-Mart. Next, I like to moisturize after getting out of the shower since I have very dry skin and body lotion seems to absorb better this way. 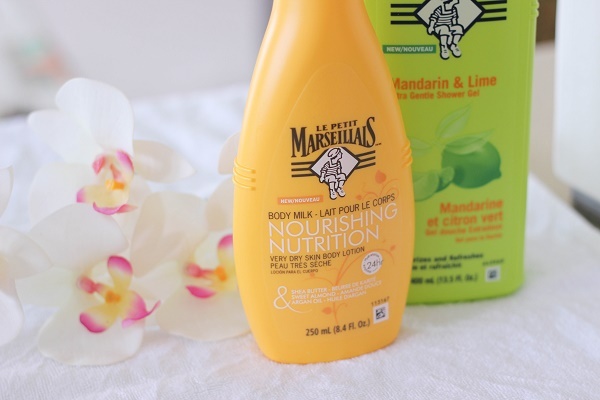 Lately, I've been using Le Petit Marseillais Shea Butter, Sweet Almond & Argan Oil Nourishing Body Milk Lotion which is perfect for dry skin that's suffering from the transitioning weather and is a thicker formula that soaks into the skin in seconds and doesn't leave it greasy. Plus I love the fact that the packaging includes a pump which makes using the product so much easier! Now for the makeup, I start by applying BB cream and use concealer to hide my dark circles and any other imperfections such as redness or dark spots. Next, I'm going to lightly fill in my brows with brow powder that's a few shades lighter than my natural brow color. Since I naturally have dark and thick eyebrows, I'm only concerned with filling in the sparse areas but for fine eyebrows, I recommend brow pomades or even tinted brow gel for a natural-looking fuller look. Now for the eyes, I'm going to keep it simple with some light brown matte eyeshadow on my crease and pat some cream shadow on the lid. 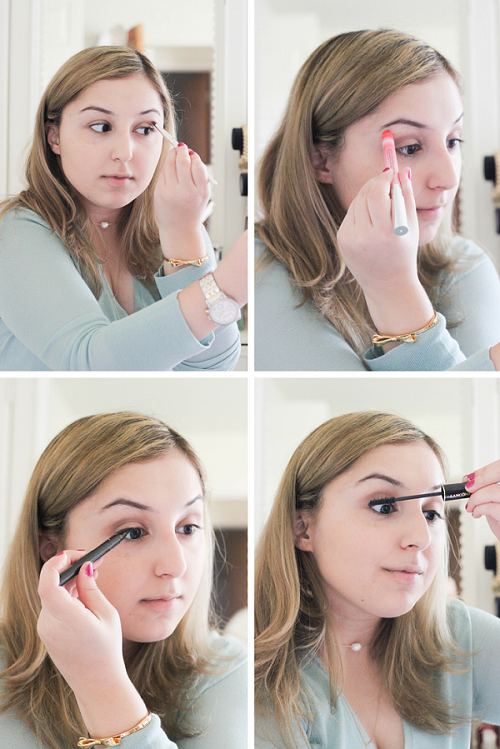 Then, highlight my brow bone and inner corners of my eye with a highlighting pencil. Lastly, I'm going to finish the eye look with black liquid eyeliner and mascara. Now for the glow! I'm using my favorite liquid highlighter on the top of my cheeks with my fingers. 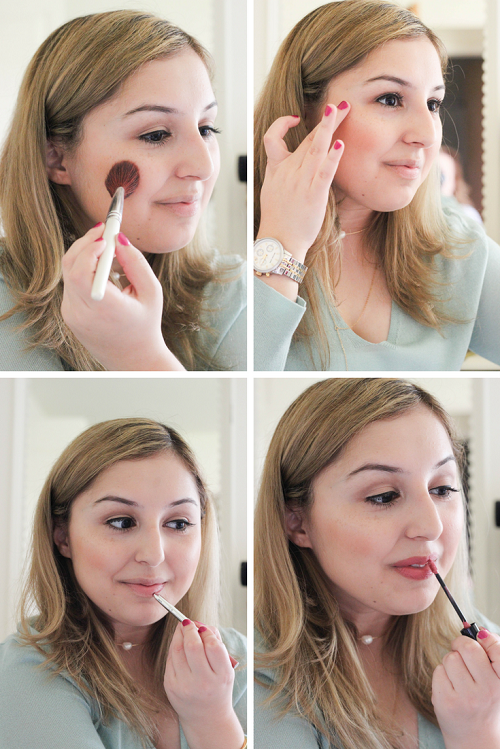 If you're going to use a powder highlighter, then make sure to apply it with a fan brush. As for the lips, I'm going to line my lips with lip liner in a rose shade and fill in my lips with matte liquid lipstick in the same shade. 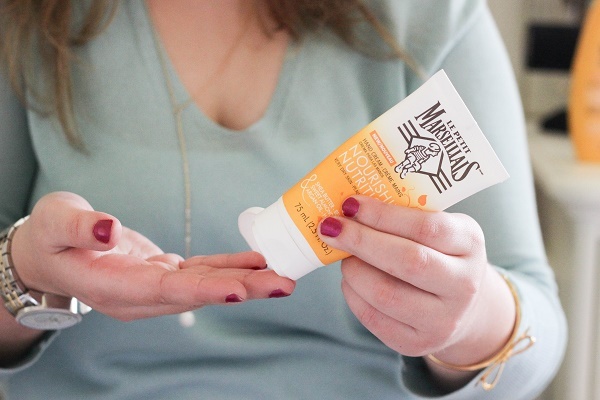 Once I'm done, since I washed my hands a few times since my hands get dirty from the makeup, I always make sure to moisturize with a hand lotion such as Le Petit Marseillais™ Shea Butter, Sweet Almond & Argan Oil Nourishing Hand Cream which is a thicker formula than the body lotion and gets rid of dry skin so easily. Plus I love the smell of shea butter! That's it! 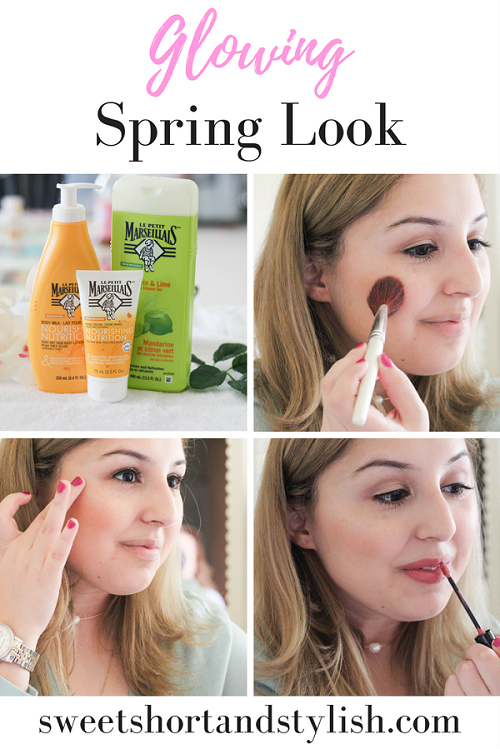 A simple but glowy spring look that works for all types of occasions and outfits. 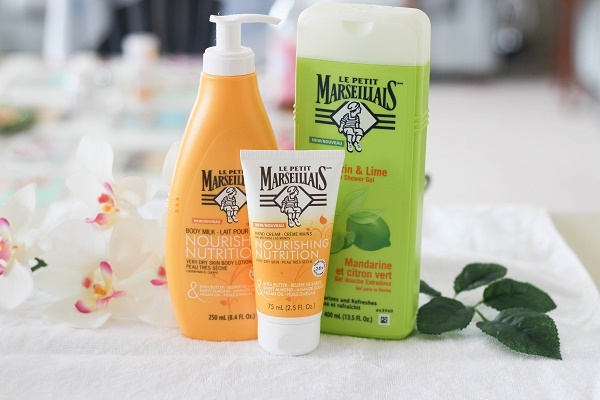 Make sure to update your beauty collection with these products from Le Petit Marseillais in stores at Wal-Mart (located in the bath and body aisle, where loofahs are sold) and on Walmart.com! 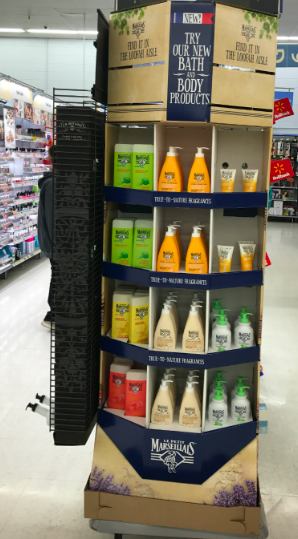 The collection includes eight body/hand moisturizers, two liquid hand soaps, six body washes, and a bar soap which ranges from $3.99-$7.97.